Microspec Beta Probe - Bubble Technology Industries Inc.
BTI’s MICROSPEC systems were the first truly portable spectroscopic instruments providing the two essential pieces of information required by health physicists–dose rate and radionuclide identification. 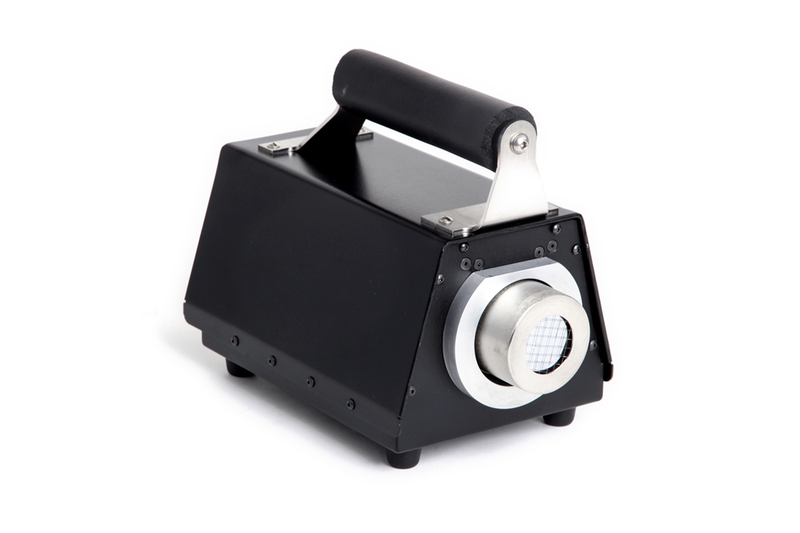 In addition to an extensive line of photon probes, BTI offers the only commercially available portable beta spectrometer, the B-Probe. Skin dose measurements using traditional thin-window Geiger-Mueller (GM) counters have been extremely difficult for three reasons: GM counters do not provide any spectral information; the detector efficiency depends on beta energy; and GM detectors do not differentiate against low-energy photons. The BTI B-Probe solves all these deficiencies using a unique phoswich scintillator. The radiation doses displayed using the B-Probe are calculated directly from the measured spectral information. As a result, the spectra measured by the B-Probe agree very accurately with calculated beta spectra and doses agree within five percent. Since beta particles with energies less than a few hundred keV are not a significant concern in health physics, the B-Probe operates from approximately 100 keV to 3 MeV. Truly accurate values of Hs (0.07) and radionuclide identification are quickly determined with this easy-to-use portable instrument.